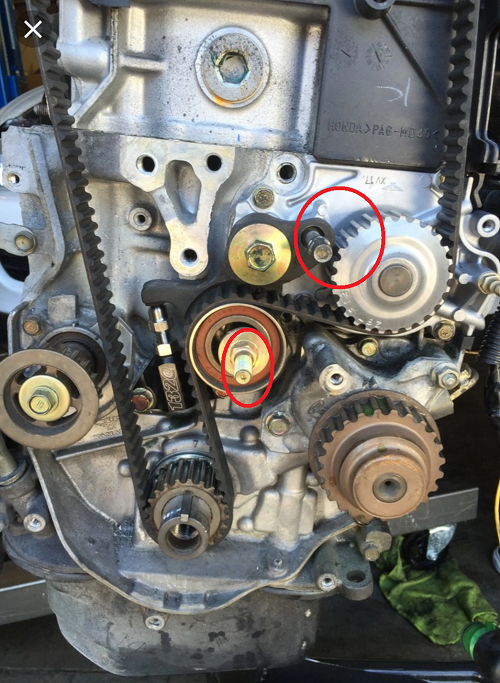 i am doing auto to manual tensioner and wondering if i can remove the bolts circled in the image? Do i need them? engine is h22a with balance shaft belt removed. Go ahead and take them off if wanted. You can take the gear off of the front shaft as well.